A nice normal day at home, on vacation, what could be better? 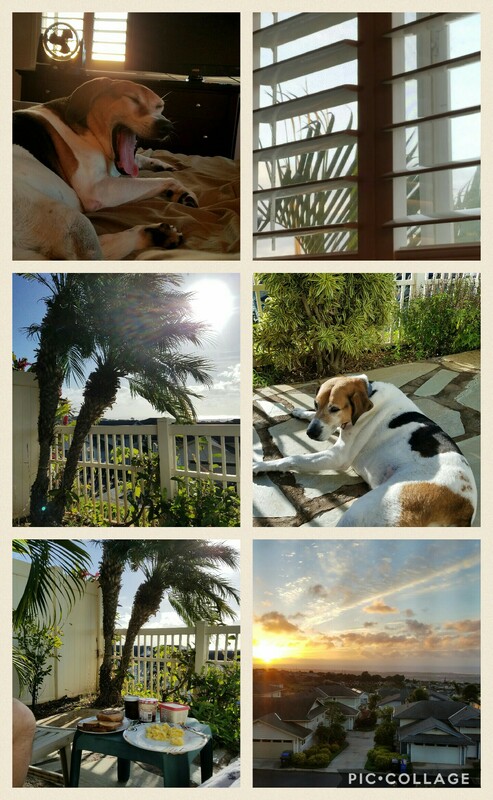 We watched the sunrise, beautiful, then had breakfast on the lanai with Mollie. 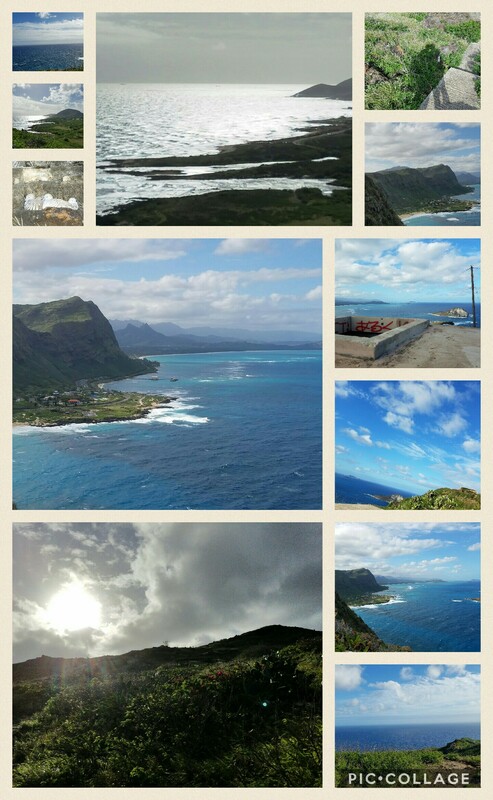 Then a hike on the Makapu’u Point Lighthouse Trail. What a spectacular view, unfortunately, the lighthouse was covered for repairs, that didn’t deter our enjoyment. On our way back to the car, we were stopped at the entrance because a cavalcade of cars was on its way, not sure which car, but President Obama was in there. I’ve never been that close to a president, kind of neat. After dinner, a much needed mani/pedi and then dinner at a new place called BYOB, Build Your Owl Bowl, Asian fusion. 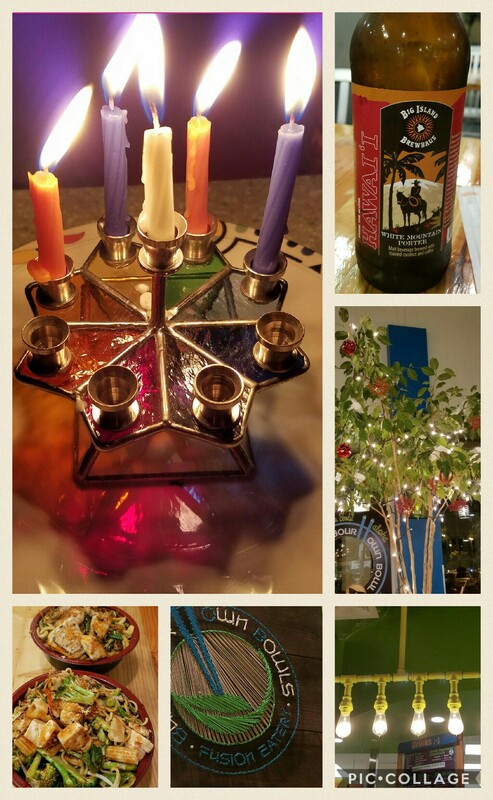 Then home to light the Chanukah menorah for our first night together in Hawaii.